Dr. Michael Berenstein provides cutting edge care that helps you heal from symptoms such as neck pain, back pain and more. Your journey toward health starts right now, because we’re here for you. 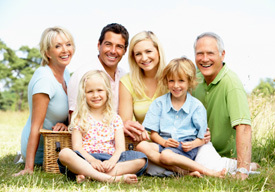 We love helping adults and children, we are eager to help the entire family! Are you suffering from arthritis? “I’ve helped a lot of patients who couldn’t find relief until they came here. Some have had other treatments for years but haven’t found a good solution until they came to me for chiropractic care.” Give us a call today so we can see how we can help you find comfort again. “We love helping adults and children, and even better is the entire family. Seeing families come in and get healthy together brings joy to our hearts.” When one family member benefits, everyone does.